The BMW International Product Argumenter, short IPA, is a digital training tool for BMW salesmen. 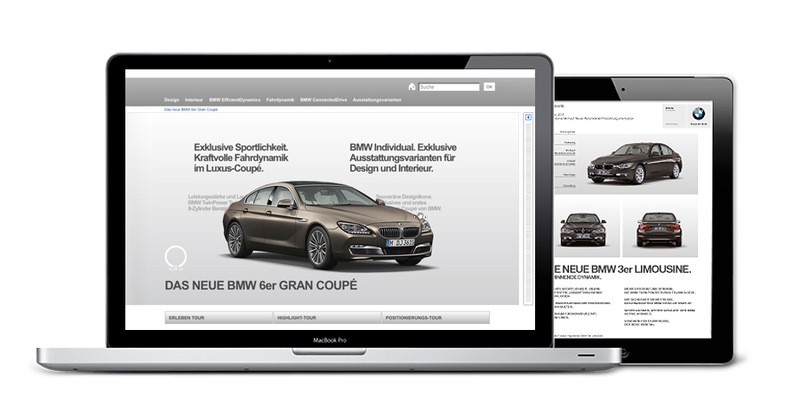 The IPA informs and train the salesmen online about the new BMW models coming up soon. It features all highlights and technical specifications for each of the new models and provides brand new facts to convince a potential customer. An important longtime task of this job was to create concepts and design prototypes to make the IPA accessible for tablet devices.